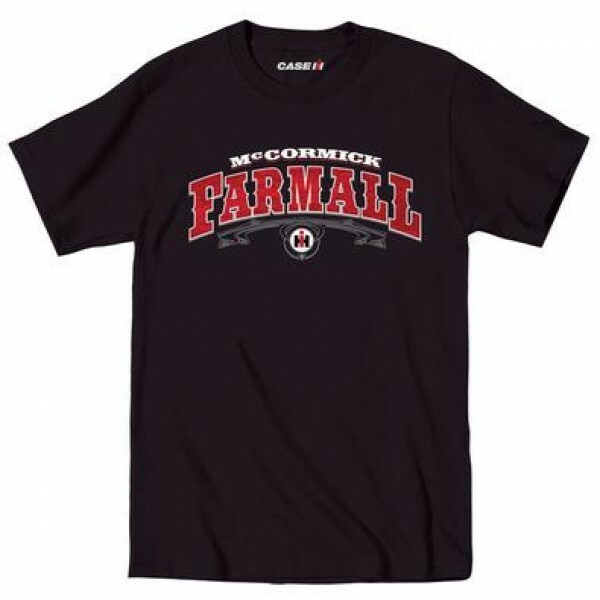 Work the fields in style, wearing this IH Farmall t-shirt. Farmall looks bold as it stands out in red western style print. McCormick and IH graphics are incorporated into the design. Loose, casual fit. Tagless back. Made with 100% cotton.